The BIG EAST and Riot Games locked in a partnership to launch the spring 2019 BIG EAST League of Legends Championship with seven of the Conference’s 10 schools set to participate in the competition. Participating teams include: Butler, DePaul, Marquette, Providence, St. John’s, Seton Hall and Villanova. Following a regular-season, which will start in January 2019, the top four teams will compete for the BIG EAST League of Legends championship title with the winner and runner-up earning berths to the League of Legends College Championship Play-in, with a chance to reach the League of Legends College Championship. 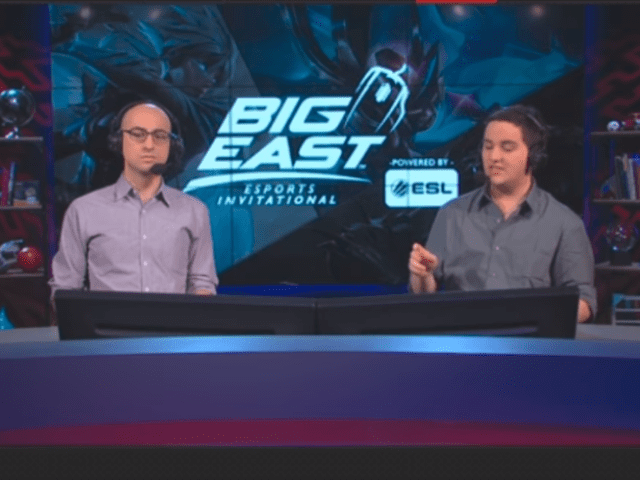 In March 2018, the BIG EAST launched an esports pilot program, partnering with ESL, the world’s largest independent esports company. BIG EAST participating schools competed in two titles, League of Legends and Rocket League by Psyonix, culminating with the BIG EAST Esports Invitational Powered by ESL in April 2018.